If you’re already a fan of idle games then you’ll understand just why they’re becoming so popular, and Terrarium is a perfect example of this. The gameplay is very simple: you plant various succulents in order to earn oxygen which you then use to purchase more succulents and upgrades. To increase how much oxygen a plant makes you tap the screen, however, they will also produce oxygen slowly without your input. This is why they are described as ‘idle’ games: not much concentration is needed, which allows you to relax whilst you play. The levelling up system is rewarding without there being any way for you to ‘lose’ the game. This takes away any elements of stress that can be found in mobile games. The simple graphics and colour scheme add to the calming feel of the game and there is also a night mode offered for people who prefer a darker colour scheme. One way to relax and unwind is through meditation and breathing exercises. Oak offers walkthrough meditations, unguided options, breathing exercises, nature sounds and a guided sleep course. This app encourages daily use and offers reminders. Another good feature of this app is the badge system that gives a sense of progress, along with a record of how many sessions you have had within the app. There are lots of customisable options that allow you to choose session lengths, background music and even the voice you would like to use in the guided sessions. ChillScape is a unique app designed to lower your heart rate, blood pressure and stress hormones. It does this by mixing calming music and mesmerising graphics to draw you in. Each chill session can last from 2 minutes to an unlimited mode. You start off with low music, and as bubbles come up on the screen you pop them, producing another noise that layers on top. Over time the music builds up and evolves, keeping you engaged and relaxed. Stardew Valley started life in 2016 as a PC Game, however, at long last this quirky farming game has been released on mobile. With a price tag of £7.99 you would expect a lot of content, which is exactly what you get. This app is the length off a full PC Game, allowing hours of use. Though not necessarily created for relaxing, the calming atmosphere and simple sound track allows you to relax whilst befriending villagers and farming. Colouring apps are becoming more and more popular as people gain interest in ‘adult colouring’ to help them relax. Lake is a very customisable colouring app which allows you to choose from their pre-set images, images uploaded by other users, or you can create your own images on a blank canvas. Rather than there being limited colour options this game features a colour wheel for a wide range of shades, along with four types of brush and an eraser. You can turn on the option to stay within the lines as you colour, or you can draw freely: allowing you to relax and unwind. Have you tried out any of our recommendations? 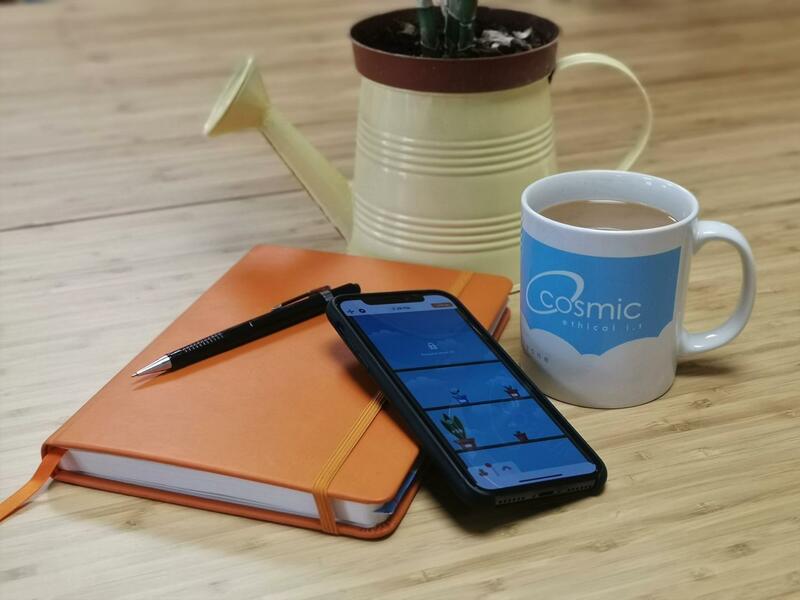 Tweet us @Cosmic_UK to let us know what you thought!